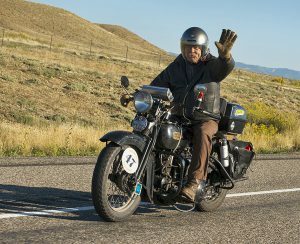 In September 2014 I had the honor and pleasure of taking part in the Motorcycle Cannonball, a coast-to-coast race for antique motorcycles. The Motorcycle Cannonball began in 2010 and is run every other year. The route—3,938 miles from Daytona to Tacoma—is mostly back roads and takes 17 days to complete, including a rest day in Kansas. 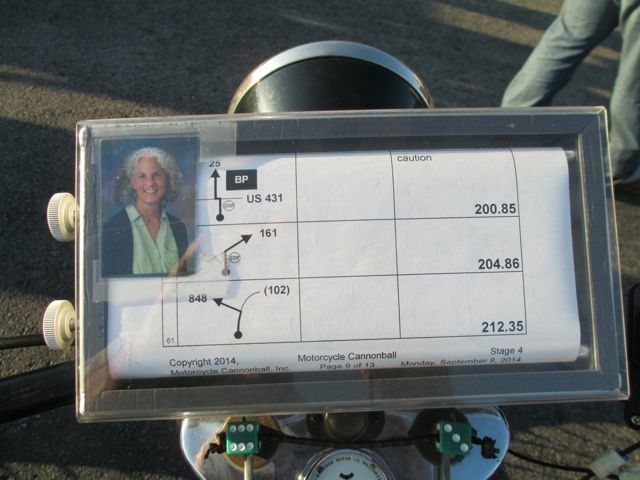 There were 102 riders; 25 were from foreign countries, 4 were women, and one was a sidecar with husband and wife. The rules are fairly simple. Bikes are divided into three classes, based on motor size. Riders have to leave the start every morning by a certain time, and finish the day within a specified time. For this race I had decided to build a 1924 Henderson, and started working on it 16 months ahead of time. I finished the day before shipping it to the start in Daytona, but at the last minute I decided it was not ready. 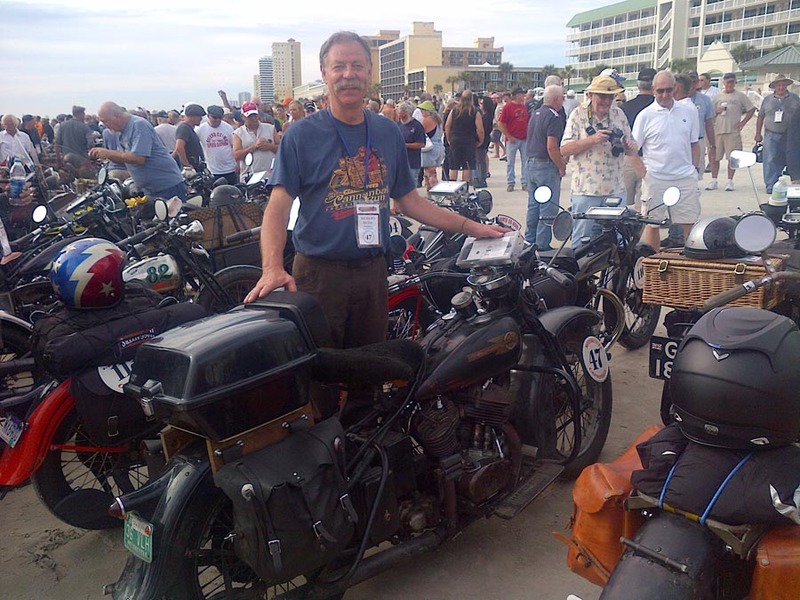 Instead, I took my 1936 Harley VLH, which I have owned for about 12 years. The vintage Harley is my daily rider and an old friend. I teamed up with a friend, Dan Emerson, from Connecticut. We bought a 1988 Ford van as our chase vehicle and loaded it with bikes, spare parts, gear, and clothing. Dan and his wife, Karen, drove it to Daytona. I flew down, and once there had two days to get my Harley ready. During the day, riders were on their own. We could help each other or get help from someone along the way, but nothing from our crew. On the sixth day, 30 miles from the start, I lost my rear brake at a stop sign in the middle of farm country. Within five minutes a farmer stopped and asked if he could help. We went to his barn and welded my rear brake rod back together. It put me behind, but I still finished that day on time. 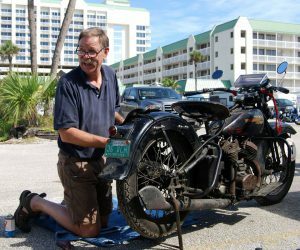 Many of the bikes were well prepared and riders had lots of spare parts and experienced mechanics, but old bikes and old parts will fail. 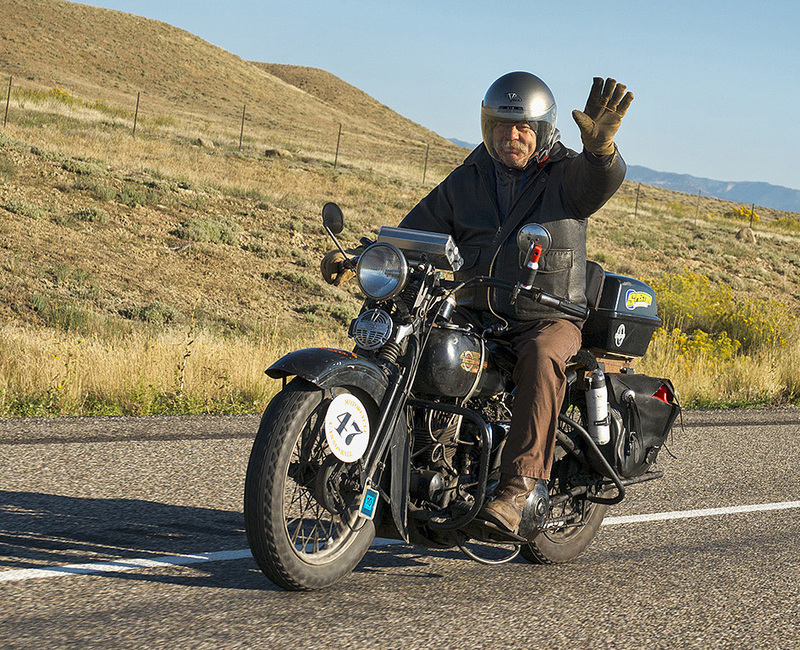 Riding between 250 and 320 miles each day will test the skill of anyone. It is a difficult race physically, emotionally, and mechanically. The day after the rest in Kansas, my motor of my vintage Harley seized. I was in trouble. One of the sweep vehicles was a new BMW bike with a flat side car for hauling bikes. Feeling like the grim reaper, the driver stopped for me. I asked for a few minutes and pumped oil into the cylinder. Fortunately, the piston loosened up and the bike started! I loved the ride through the East and was surprised with the Midwest’s rolling hills. The West felt stark and barren. One day we rode over Loveland Pass, and at 12,000 feet elevation it was formidable, but everyone running that day made it. The Northwest was great, with huge hay farms and wheat farms and then into the fruit orchards of the upper Northwest. We ended at the LeMay car museum in Tacoma. 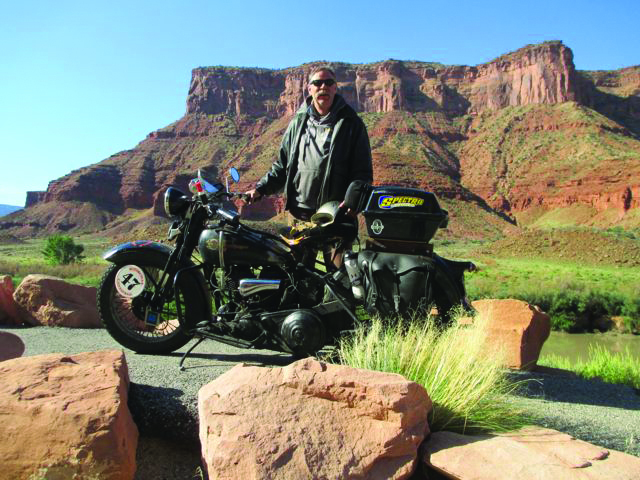 The winner was the rider from South Africa on a 1922 Indian Scout. Twenty five bikers, including Dan and me, finished with perfect scores. Afterwards we loaded our van with the bikes, gear, and dirty laundry and shipped it back to the East Coast while we flew home. It was an amazing experience and thankfully I had a few sponsors: Hiedenaur tires, Spectro oil, and Ande Rooney, Inc. Sisler Builders was a generous supporter, allowing me to take three weeks off from work. I could not have done it without everyone’s help, and of course the patience and support of my wife and family.